From 12-15 July 2017, the Royal Opera House celebrated its first ten years of working with communities across Thurrock with four days of activities for schools and families. 27 ROH Thurrock Trailblazer schools brought more than 600 students and 100 teachers to High House Production Park, the Royal Opera House’s home from home in Purfleet, Thurrock for opera and ballet magic, experiencing ROH Reimagined performances in which much-loved characters from popular works such as Alice in Wonderland, appeared in some unfamiliar guises. They also took part in activities that covered different aspects of the work of the ROH: workshops with the Scenic Artists, learning to sing extracts from La Boheme, dancing and making paper costumes. 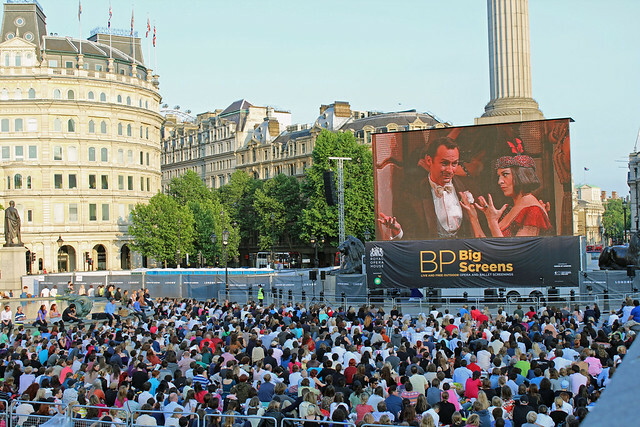 The BP Big Screen was part of the tenth anniversary celebrations and Turandot proved a great success. Shown in the High House orchard on a beautiful summer evening, almost 600 people came to enjoy the wonderful music of Puccini’s dark fairy tale. 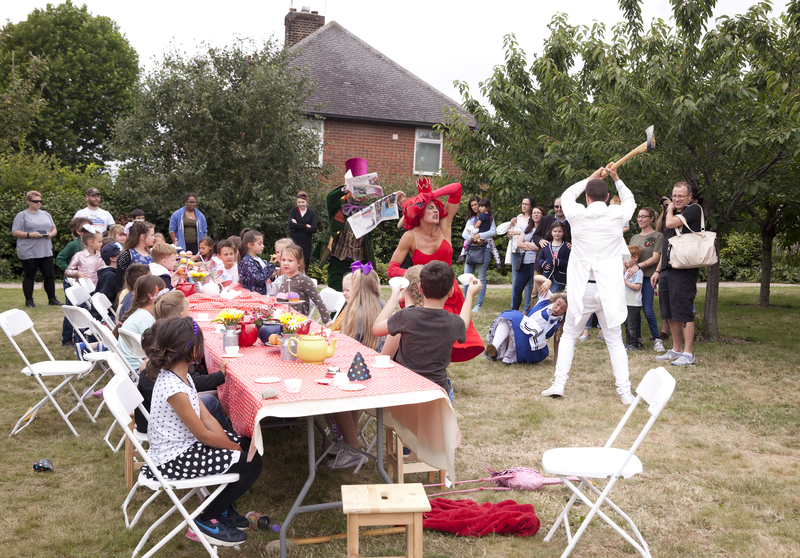 In a community day on Saturday 15th July, many local families visited the Park to see the reimagined performances, following Alice and the Mad Hatter around the Park to join the tea party and escape the Red Queen, taking part in the fire trial with Pamina and Tamino from The Magic Flute and dancing with all the characters in a spectacular finale. The Royal Opera House Thurrock Community Chorus where on hand for two singing workshops, and performed a wonderful selection of their current repertoire. View a map of The High House Production Park here. See further travel information here. 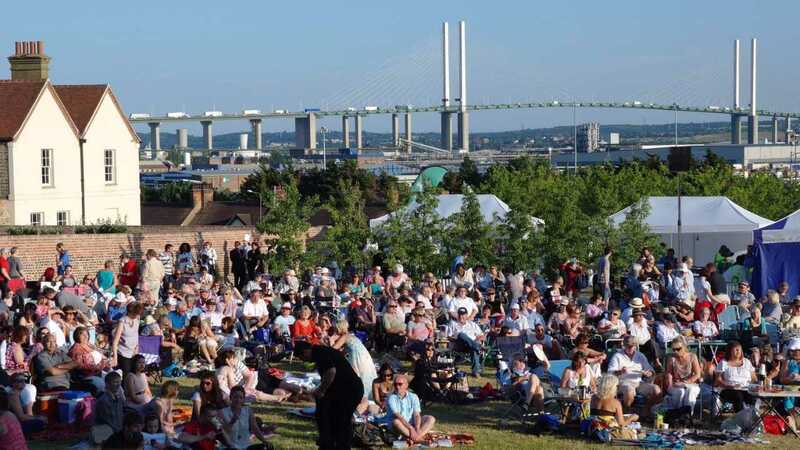 Thurrock Trailblazer is transforming cultural education in Thurrock. The programme will use involvement in the arts to inspire and engage young people, raise aspiration and improve educational attainment. 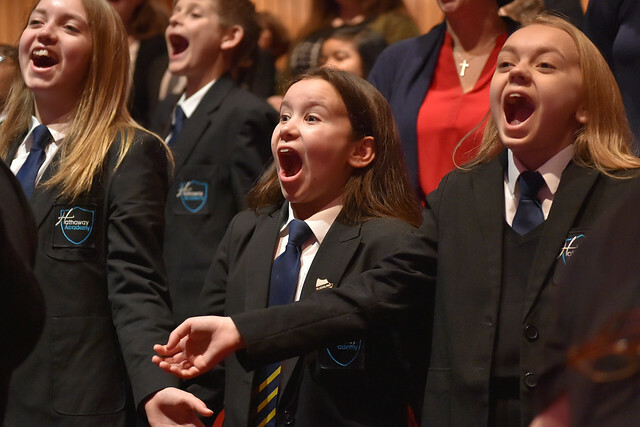 Royal Opera House Thurrock offers local residents the opportunity to find their voice with the Community Chorus. 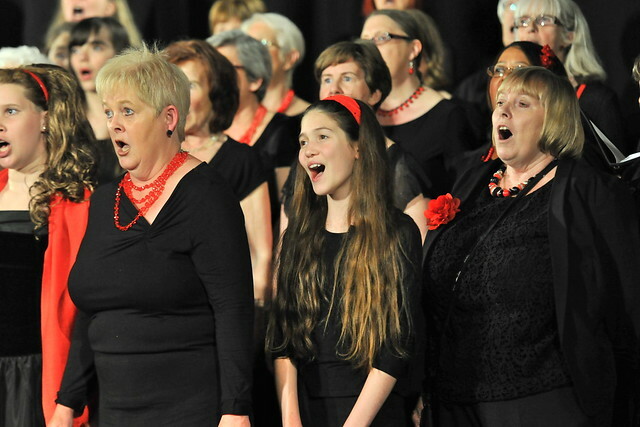 The chorus meets weekly during term time and is open to anyone aged 8 and over. Live, free outdoor relays from the Royal Opera House to the UK.